I love March, to me it's a sign that the long Scandinavian winter is coming to an end. 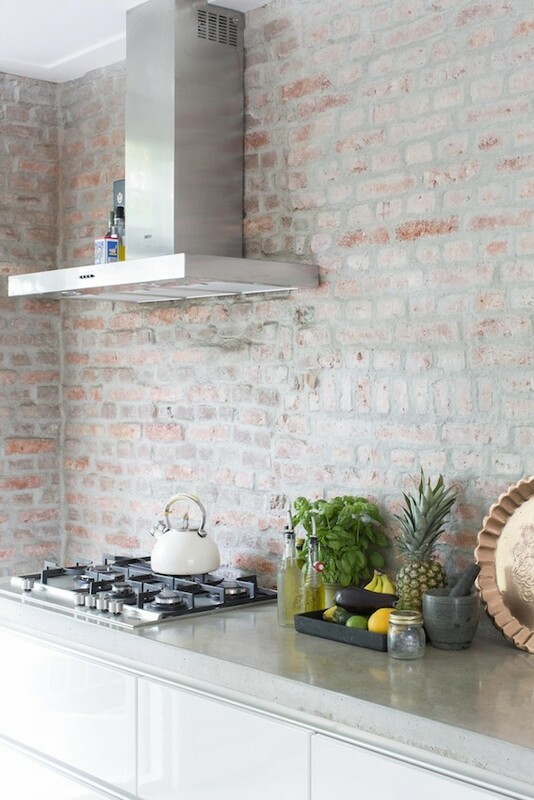 And what better way to celebrate than with a Dutch home full of the joys of spring?! 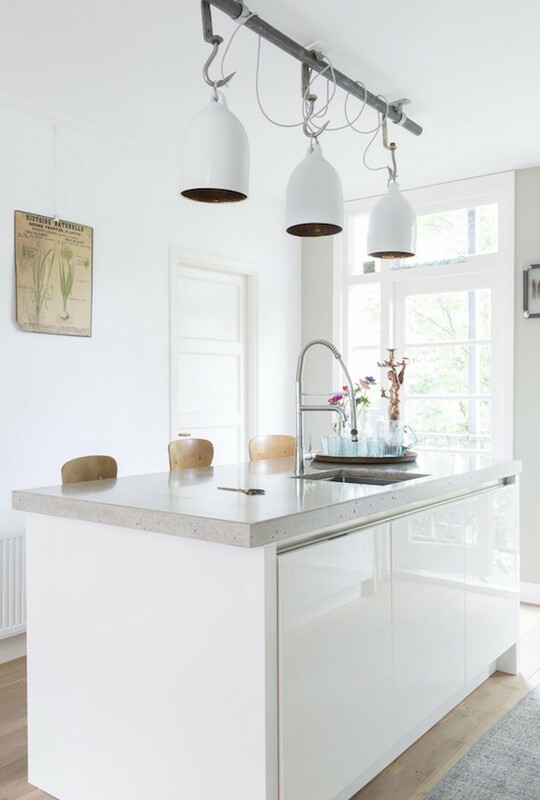 Photographed by Margriet Hoekstra, this light-filled three-storey apartment in West Amsterdam is the result of a major renovation by Rick and Linsey. After a re-configuration, the pair furnished the space with fab industrial / vintage finds, modern units and plants and flowers in every room. What a perfect place which to kick off the week, don't you think?! VT Wonen. Photography: Margriet Hoekstra (with kind permission) Styling: Barbara Natzijl - BoulevardB. 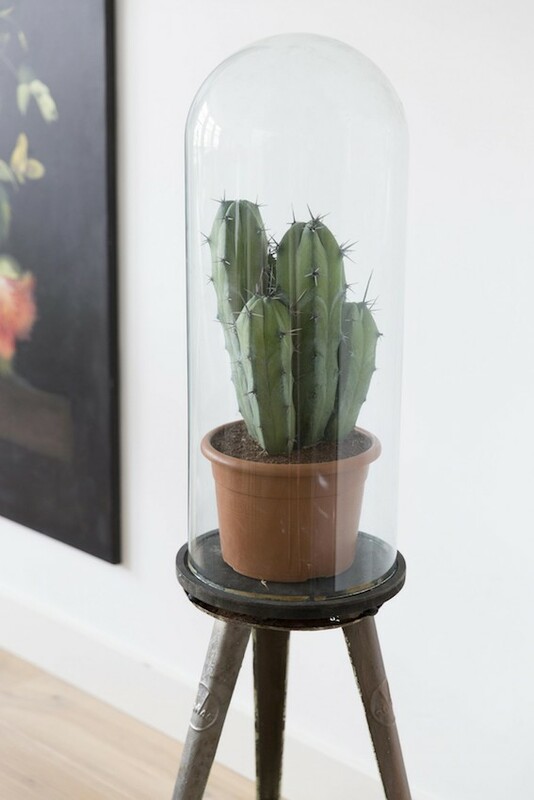 I love the way Rick and Linsey have used a variety of plants - from freshly cut spring flowers to year round cactus and big-leafed plants. For more plant and flower display inspiration I've squirreled away lots of lovely images on my Pinterest board and can recommend this fab book. Is there anything that stands out to you about this home? More pics and full article here (in Dutch - google translate, we heart you!). More Holland based homes full of the joys of spring here, here and here. PS Don't forget to enter my give-away to win a String Pocket in a colour of your choice. The competition closes tonight (Monday 2nd March 2015) at Midnight GMT! Hurry! Just sang the title in my head (love is in the air...) The plants make a lot of impact. I love the colors in the third picture. :) Beautiful as always. 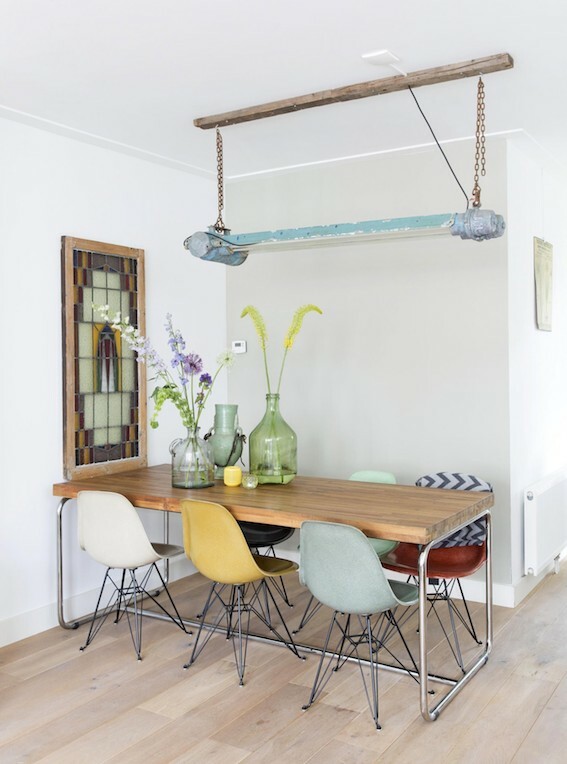 All those vintage pieces and industrial details..perfect! 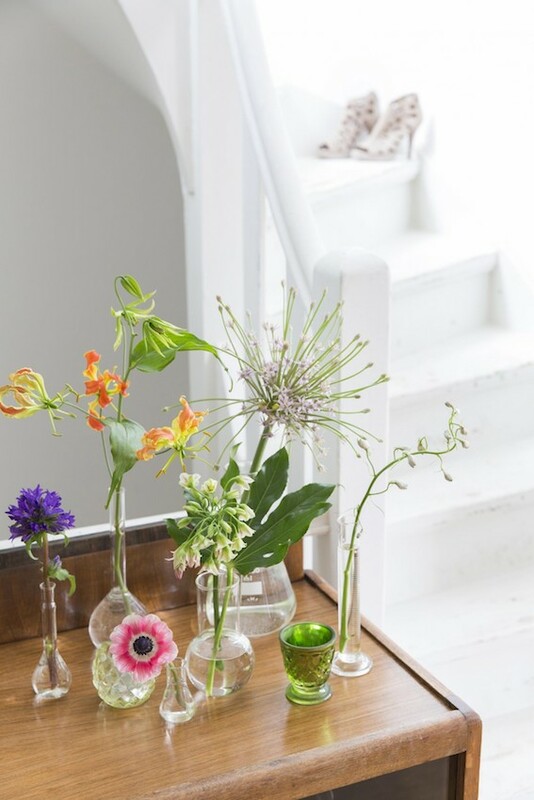 I love how they used different glass vases and bottles! And the big flower painting is gorgeous! Everything looks so refreshing and beautiful. I especially love all the glass vases! 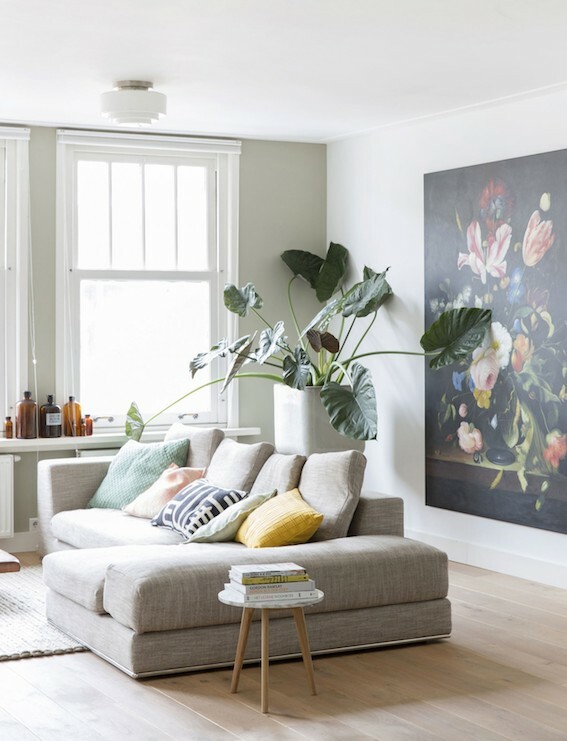 What a gorgeous home, so many interesting & stylish pieces. I recently discovered your blog & really love it!